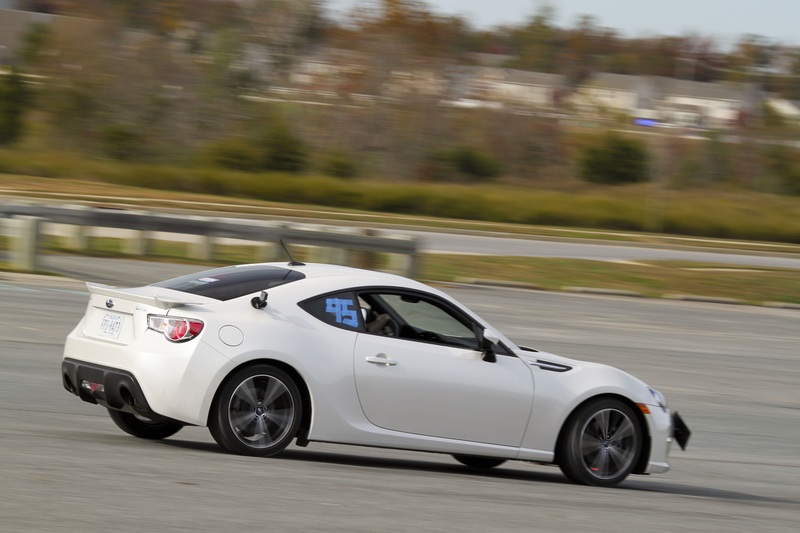 In September of last year, my autocross season almost stalled in a frustrating finish. I had three events left to run, but my tires were toast. As I’ve mentioned before, I am not yet an expert driver; midway through the season I flat spotted a tire and by September that pesky spot had worked its way down to the chords. I couldn’t afford new tires at the time, so I thought my season had come to an end; fortunately, opportunities arose that allowed me to run all three of those events. Instead of being relegated to the couch in my living room chasing my cats off the TV stand, I ended up in the driver’s seat of a national trophy winning car for two events and driving my car with someone else’s wheels and tires for the other one. 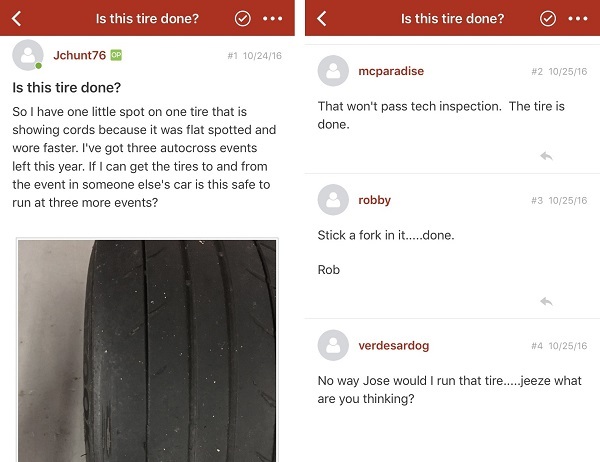 And although it made my old school Dad cringe to think that I was putting other people’s racing equipment at risk, I was grateful to know that I had built so much trust with two people I’ve never even seen outside of an autocross event. My 2nd lesson learned is that relationships are everything and your friends become your team. Here are some steps you can take to build strong relationships in your club. Choosing one club and consistently attending each event is key to building relationships. This may seem like a weird first step toward building relationships, but it’s crucial. My club of choice is the Washington D.C. Region SCCA (WDCR). This club drew me in for many reasons, one of which being their level of organization. When you go to an SCCA event, your car is competitively classed and you line up with your class at every race. After each run you get out and compare times and strategies, and your competitors quickly become your team, your pit crew, your spotters, your coaches, and your biggest fans. Some of my best experiences have stemmed from the relationships I’ve built within my class. Competing in the WDCR region’s E-Street (ES) and Street Touring Roadster (STR) classes have led to some incredible experiences. Earlier, I mentioned jumping at the opportunity to drive a national trophy winning car. That opportunity presented itself because one of the best drivers in the country, Shane Chinonn, who you may recognize from his youtube channel BlackTop Racing, knew me well enough to ask me to co-drive with him that weekend. I’m sure you can imagine how ecstatic I was to have the opportunity to drive with, and learn from, such a great driver, but don’t imagine it happened by accident. I immersed myself in the club and drove in the same class as Shane (STR) at every WDCR event for nearly two years. I also proved my desire to improve by attending two WDCR autocross schools and a test and tune, where I had Shane as an instructor. Sticking with one club really paid off in this case. An autocross event is a smorgasbord of varying levels of skill and desire. Chances are, at any given event, you’ll be better than some drivers and worse than others. Sometimes there will be more above you and sometimes there will be more below, but either way you will have knowledge to give and gain. Nothing is more nerve wracking than being at your first autocross event with no friends to lean on and not knowing the hard and soft rules that make an event run smoothly. And nothing can build a relationship quicker than easing the burden of that anxiety for a newcomer. Take someone brand new under your wing and help them through their first event, it will pay off in the long run. Usually, the payoff is that you feel good to know that you helped someone else have a good time, but sometimes the payoff comes in other ways. At one event this year, a newcomer I had been giving some advice to asked me to drive his car for one run so he could try to pick up on the techniques I was explaining. I was honored that he thought he could learn from me and I was pumped to drive a Subaru BRZ for the first time! We both ended up having a blast that day. Sometimes offering help can be a bit intimidating, especially if, like me, you are starkly aware that your accumulation of racing knowledge is more akin to a puddle of water than an ocean. Thankfully, no one will ever be a perfect driver, so there will always be more knowledge to absorb to grow your puddle. Eat a slice of humble pie before every event and go ask for help. Ride along with good drivers and ask them to ride along with you. Sometimes you may be able to give them a tip or two, but more often you’ll pick up some valuable knowledge about the line they drive, the way they control the throttle or brake, or the way they prepare in between runs. For all our flaws, people enjoy helping others, and we also tend to respect people who are willing to ask questions and learn. You can quickly build relationships in your club by simply asking for help. The relationships I’ve built over the years have not only kept my wheels turning, they’ve kept my mind engaged and my interest piqued. Growth is inevitable when great drivers are jumping in your car and counseling you. The learning and relationships are incentive enough to keep making new friends, but as a car geek, driving cars I’ve never had the chance to drive before adds some extra excitement to the experience. Just this season, I’ve driven every generation Miata, a Subaru BRZ, and a Mustang GT. I even got to co-drive at a rallycross event! So, if you’re new to the sport and you’ve been going to events now and then, at this club and that, start following the tips above and you’ll see a difference right away. As the proverb goes, no road is long with good company. No matter what level you want to achieve in your racing career, you’ll have more fun getting there with friends helping you along the way.